And now for a downer. I asked this question on Instagram a few weeks back and a lot of people said they agree with this sentiment. I constantly feel like I am doing too much, but doing nothing well. I don’t have enough time to make the blog what I want it to be, but I’m still here posting. I don’t have enough time to focus on social media and growing Instagram, but I’m still popping in once a day to engage and share. I don’t have enough time to up-level my group fitness classes and get more advanced certifications, but I’m still teaching three classes a week, sometimes more. I don’t have the time to turn my Beautycounter business into a super profitable passive(ish) income stream, but I’m still working on it here and there. The list goes on … And well, sometimes feeling like I have too much going on, but nothing going how I want it — it’s not the best feeling. I can’t exactly blame it all on being Brady’s mom. Because yes, that is my number one focus and the biggest place I spend my time, but I also think that I like all the things I’m doing and would never want to give any of them up. Perhaps that’s the problem? I don’t know. Some days, I have small wins and feel like I’m rocking and rolling and killing it at life in all areas, and other days, I feel like everything is slowly tumbling to the ground and disintegrating right before my eyes. Ick. Anyone relate? Are we doing better than we think we are? I hope so. I received some feedback recently (from a relative), that perhaps the blog had become too mom heavy. Hmm. Welp. Here’s the deal: Being a mom is the biggest and most significant thing in my life right now. I know I have amazing readers who are not moms and may never even want to be who come here, and I DO NOT want to alienate you. So please know, I’m aware. But also, it wouldn’t be right for me to not talk about mom stuff, because it’s my reality. For the last almost two years, I’ve only been a substitute BODYPUMP teacher. Just the thought of this is something I never expected to say, especially when I was teaching three regular BODYPUMP classes a week and was dying for a day off of it. But in my area, classes at the prime gyms are hard to come by — and there hasn’t been an opening for a BODYPUMP class at my gym since I left my own Thursday morning class at 27 weeks pregnant summer of 2017. Yup. That being said, I have a couple of instructors who ask me to sub when they need someone. This is a good thing for sure — but when you don’t teach a Les Mills program regularly, it’s MUCH harder to prepare for it. You have to go back and memorize a full release, then remind yourself of cueing, not to mention be in the right shape to talk and teach too. Luckily, I go to BODYPUMP every week, but taking it and teaching it are two different things. And here’s the tough part: If a BODYPUMP class opened at my gym right now in a time-slot that would work with Brady’s schedule, I honestly don’t know if I could say yes to it, because I can’t imagine having another program to keep consistent choreography with — on top of BODYATTACK and barre. But … I LOVE it. I stress, I work hard, but I truly enjoy it. And I miss teaching BODYPUMP regularly. I subbed it yesterday, BTW, so that’s why this is fresh in my mind — it took forever to get ready for. It was worth it. Dave and I wrote down our individual and family goals in January in a notebook. That notebook got drenched in a hot green matcha (as well as my laptop), so I rewrote the goals in a new notebook and tossed the original. As I went through the goals, I was reminded that I never shared them. I’ll tell you the rest of them soon, but here’s my fitness goal: To be able to do a long unassisted handstand and to be able to do many unassisted pull-ups. Sounds easy, right? Not so much. 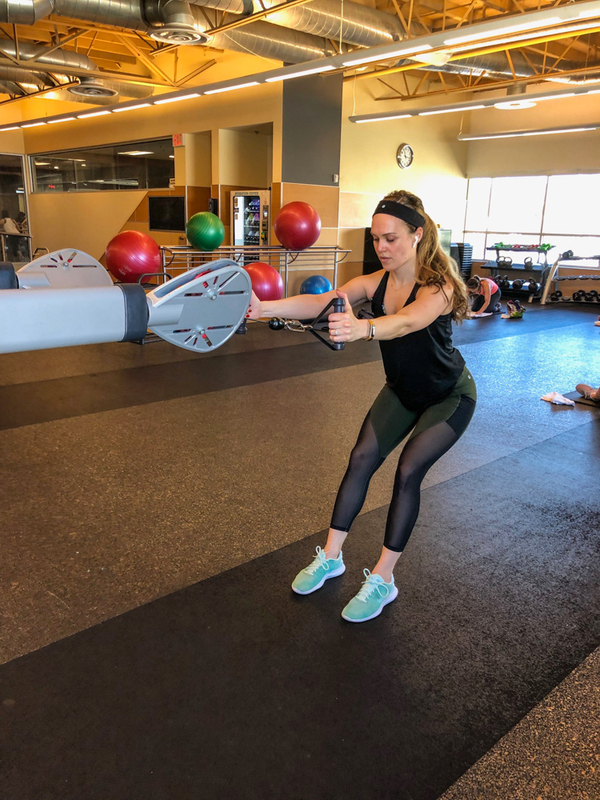 My upper body has always been weaker than my lower body, and I am STILL struggling to regain a lot of my upper-body strength I lost while pregnant and newly postpartum. Now that the first quarter of the year is over, I realized I should probably take some action to get started on these goals. Will it be this week I go do some assisted pull-ups and bar hangs? Will it be this week that I do handstands on the wall? I don’t know, but it should be. Do you have any fitness or performance goals this year? Have you started on them yet? Let’s do it together. It’s hard to believe that I’ve been writing this blog, in some fashion, for six years. WOW! Granted, the first few years weren’t much to write home about (mostly, because they were all about writing home hehehe after our big move to San Francisco). Sometimes I go back and look at all the old posts that have a lot of great content, but are old and hidden. Should I bring them back in some way and update the pictures? 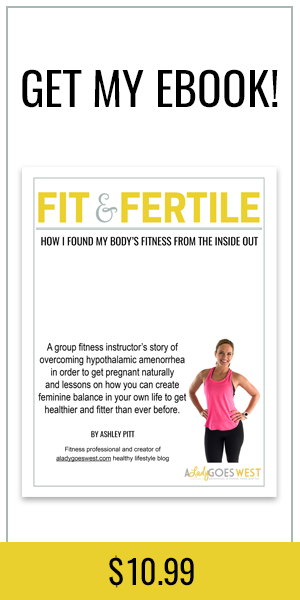 The posts I’ve written that get the most traffic (like about BODYPUMP and about Orangetheory and exercising while pregnant, etc.) those have been optimized and are still going strong, but the good ones with more obscure topics are sort’ve floating in the world wide web unread. Hmmmm. It’s a mystery. Rumor on the street is that there will be a Beautycounter promo this week. If you haven’t already signed up for my Beautycounter email list, now’s the time. I’ve got a food giveaway coming up on Friday too! Are you working toward any fitness goals? What would you order to drink on our coffee date? What’s something you don’t do very often but love to do? What’s something you’ve worked hard at and it was totally worth the effort? Hi. I had my English Breakfast tea during our coffee catch up this morning and I enjoyed the ramblings. I can so relate to feeling less than. I don’t do nearly as much as you, but I definitely am going through a rough patch right now where I feel like I am just half assing my way through life. I hate that feeling. But I’ve yet to do anything about it. I’m just paralyzed in my position. But I am trying to allow myself some grace because it’s not like I’ve completely given up. I try to look at baby steps (or even marching steps while standing still!) are still better than not moving or not trying at all. And as you know, I am not a Mom and I desperately want to be. And I never feel alienated here on your blog. I absolutely love reading about Brady and living vicariously through you. Courtney! Hope you enjoyed your tea. Thanks for chatting! 🙂 I think this feeling of “less than” happens to a lot of us, especially those with perfectionist type-a tendencies. The good news is that baby steps are THE way to make change, so the tiniest things in the right direction work. I know you are doing that, so just keep at it — sometimes a big revelation doesn’t just happen — all of a sudden you notice you did a lot more progress than you thought. You got your adorable blog off the ground, you’ve balanced out your workouts, you are doing AWESOME! 🙂 And don’t ever forget that being a GOOD, NICE person is one of the most important biggest things you can do. You’re killing it at that! Thanks so much, Ashley. Your support and encouragement always mean so much to me. I love the mom posts! It is what it is. You cant interest every reader every week – that would be impossible. Keep up the good work, Ashley! Thank you, Nicole! Definitely can’t please everyone! 🙂 I guess I just don’t want to shove mom stuff in the face of people who are over it. Ha. Thank you SO much for reading, my friend!! I love posts like these! I am not a biological mum so a lot of what you write about in terms of a younger child is not relevant to me all, but I never feel alienated and there is plenty of content which is not about motherhood, namely your fitness content which I ALWAYS refer to, including the instagram posts with your short workouts which I really appreciate. Plus Brady is super cute! This weekend I finally picked my wedding dress! Aaah! And I guess that ties into a fitness goal as I said at the start of the year I wanted to get fit and healthy for the wedding, 3 months in and the dress I picked definitely looked better than it did at the start of the year, so although there may not be a huge amount of lbs loss the workouts are helping my shape, plus I feel so much better for it. I’m not a mom and don’t think I ever want to be one, but I love your blog. I live in South Africa so we don’t even have similar shops, activities or gyms but I always keep coming back to your blog. Keep writing what makes you happy Ashely! Ha you reminded me I wanted to be able to do one unassisted pull up after having my baby, so I’d better get going on that! If you feel like you’re doing nothing well, I think it can help to take a day to do nothing! Then you can just recalibrate back to the most important things. It’s your blog , so you get to do what you want on it! Hi lady! Three cheers for a nap in the crib! 🙂 Moms tend to always feel fragmented, so I’m glad I’m not alone on that, but sorry you are feeling it too. Good work on hitting the gym each day — you should definitely go back to BODYPUMP, but use REALLY light weights the first few times back. Thanks for saying hi! Ashley, your blog is one of the few that I look forward to reading; you have in my opinion a really great mix of content! I truly don’t think you include too much about mom stuff, and what you do include I know I enjoy reading. My current fitness goals include rebuilding my strength and running endurance post partum (my little one is 4 weeks old). Hi Erin! You know, my older brother didn’t have a cup of coffee until 36, and now he drinks it every day. So it’s never too late … ahhah but I like tea way better. Anyways, you DEFINITELY should take it REALLY easy for the first few months of going back to working out — you have plenty of time to rebuild, so take it slow. But it’s great to have a goal to want to feel strong again. Love that! Happy Monday to you. Thank you for saying hi! Hey Ashley! Love your blog and whatever it is you feel like sharing. I follow a lot of bloggers and I think I enjoy a balance of half “professional” or meaty content and half personality/fun/relatable/inspiring/whatever! It’s like reading a magazine or something enjoyable like that. Just my experience! I had a funny experience yesterday where I just signed up for a gym membership, it was day 2 and I brought my boy for the first time, and the childcare person was late and then they couldn’t find the room key. 30 mins after my yoga class had started I decided I could no longer justify going in that late and decided to call it quits and I hit up the coffee shop across the street instead. I got a maple oat latte and it was incredible. 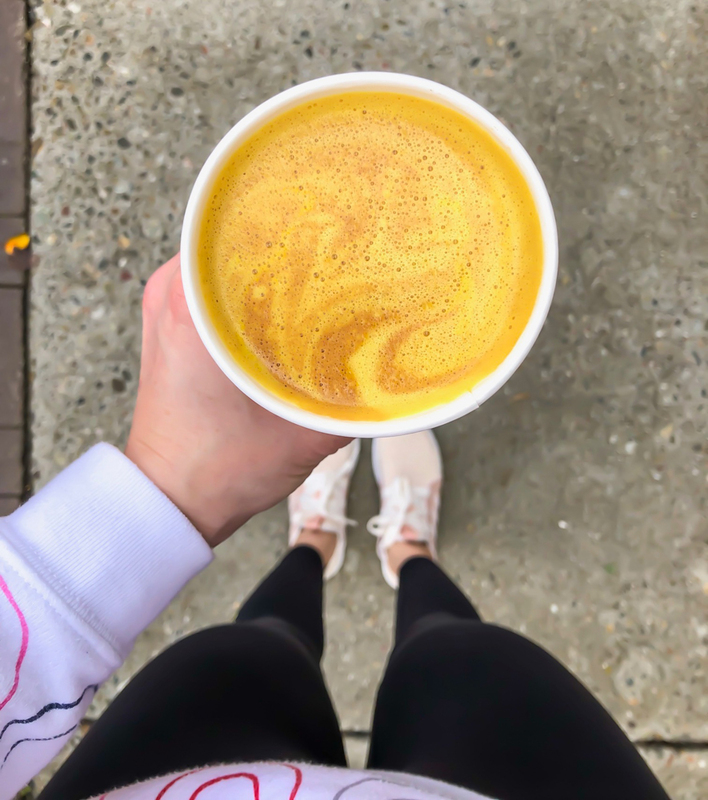 I love oat milk lattes and they had a Tumeric oat milk latte I want to try too! So my return to the gym is not off to a strong start but I’m trying again today hahaha. I also hope to do a handstand and pull ups one day but am at a total loss on how to learn (besides joining CrossFit which I’m not going to do). 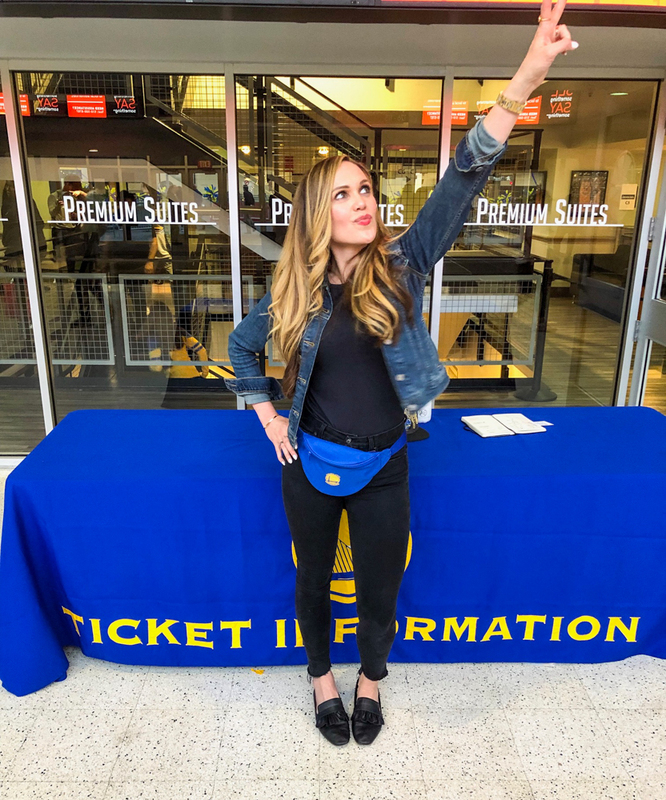 Anyway, thanks for sharing, have a great week, enjoy all the wonderful mommy moments, and go warriors! Hi Alie! 🙂 Thanks for saying hi! And I’m so sorry your gym daycare attempt didn’t work out, but there’s always tomorrow hahah! You get an A for effort! Would you believe I’ve never had an oat milk latte? I need to get my hands on one. And I appreciate your thoughts on the variety of blog content — that’s what I enjoy too. Hope you have a great Monday! I think there is value in doing what you like even though you keep feeling like you could be optimizing it more. What are the standards you judge this by? Are they at all related to your goals? (BTW I love that you two write up goals together!) Sometimes I combat that vague feeling of not doing enough by setting realistic standards/goals and seeing what I really want and what are the steps to get there. And sometimes I end up with new directions and sometimes I realize I’m great where I am and ease up. I love your blog and am fine with whatever content you put out. You are so good at being you. It’s refreshing and I learn a lot from even the chats. Thanks! Keep doing good! Stefanie! Thank YOU! Sounds like you have a good handle on setting expectations for yourself — I like it. And you are right, there should be a why behind goals — and steps to get there. I probably need to write down my steps too hehe. I really appreciate you reading and saying these nice things. Have a GREAT night! One of the things you are doing really well (and seemingly in real time) is painting a super realistic (but still inspiring) picture of health and wellness in the season of life where you have young children. 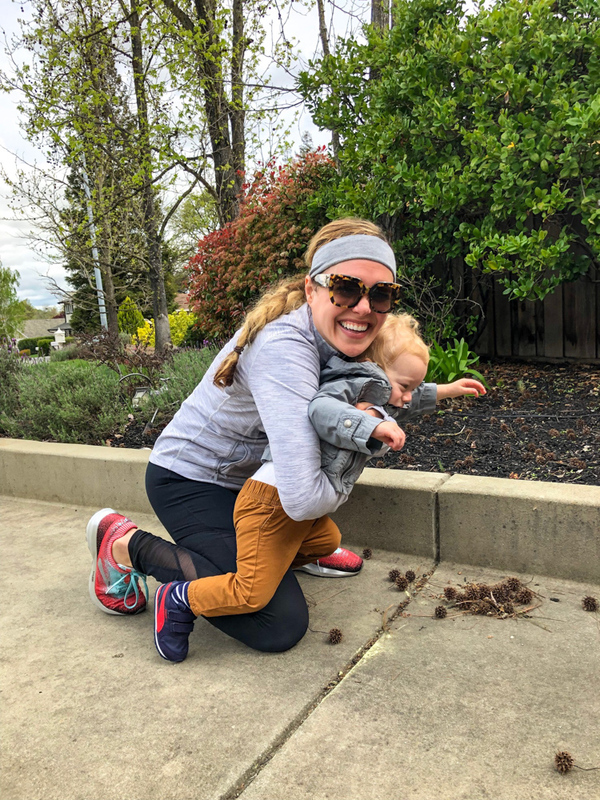 There are tons of inspirational fitness influencers pre-kiddo and NEWSFLASH, it looks real different once you actually have a kid! But the volume of that type of content is low. It’s all Throwback Thursday before and afters, and all that. Anyway, this season of life is unique — those of us trying to find balance between wellness and motherhood — whether you work, or stay home, it’s a journey and a life change! I really appreciate you modeling that life right now. Hi Holly — wow — you are so kind to say that. And I feel like that’s exactly what I’m hoping to do, because everything is different once you have a kiddo in the mix. It’s quite the journey — and we’re all just trying to do our best. I appreciate YOU for reading and for saying hello and sharing this. Not a mom, but LOVE the mom content! I feel like I’ve watched Brady grow up and I also love pics of those perfect little curls 😍 You’re doing better than you think you are, momma! Jessica! You are SO sweet! Thank you for reading and for saying that. 🙂 Hope all is well! Brady says hi! Biggest accomplishment lately – aside from keeping 4 kiddos alive, became a certified personal trainer in December and went back to work after being a stay at home mom for nearly 11 years. Jen! Those are HUGE things! First of all, four kiddos — good for you. Second of all, back to work! You go lady! I bet you can appreciate SO many things about being back in the working world now that you’ve stayed home for so long. Hope it’s going well so far! Thanks for saying hi! If it were morning, I would be drinking a matcha tea latte or a hot cup of coffee 🙂 I love reading your blog and following your stories/posts on instagram. I think I found your blog while I was pregnant with my first baby (she’s 14 months old now), so your content is super relevant to me. I only recently started making more time in my day to focus on my own health and well-being, adding pilates back in and trying to get better sleep. It’s so much harder now to find and make time for myself. I actually have to make a conscious effort to do something that I WANT to do, not something I have to do, as that list is infinitely longer. Reading blogs and listening to podcasts about how others balance life as a mom and trying to maintain their sense of identity has been a form of therapy for me. Thanks for being real! I enjoyed this type of post, as a change, BTW. Enjoy the rest of your week! Hi Morgan, Thank you SO much for reading and for leaving this wonderful comment. It’s really nice to be able to relate to people in a similar stage of life as you, right? I feel the same way. Congrats on adding Pilates back into your life — many benefits for the mind and body and teaching your baby girl that fitness is important. 🙂 I’ll keep talking about mom life, BTW! Thanks again! I have no children and LOVE all of your posts about motherhood! I have shared some of them with several of my new-to-motherhood friends preparing to travel or feeling low about post pregnancy recovery rate. Honestly my favorite posts of yours are your “ramblings” about day to day life. Don’t think for a second that you’ll lose any of us if not every post is a research paper! I read your blog because I feel you’re authenticity and honesty. As a yoga and barre instructor I totally get how much prep goes into each class. It’s really more of a performance than people may know. I forget who said it but I love the quote that as a modern day woman, “you can do it all just not at once.” I also sense your inner perfectionist is as strong as mine, meaning that where you may feel you aren’t doing amazing in any one area, you are likely doing good enough. Be kind to yourself with your expectations. I admire your ambition and grace as you navigate the work-mom balance. You are so inspiring! These kinds of posts are my favorite! I’d much prefer “ramblings” over picture perfect posts on any blog! Also, I am not a mom but truly enjoy reading about your experience with motherhood. Thank you for keeping things real! Ohhh thank you, Kelsey! I really appreciate it! 🙂 I like to see the real stuff too! Awesome post as always, Ashley! I would tell you that I conquered my fear of heights by going ziplining on Saturday and I am so proud of myself for it! I love these virtual coffee dates. I feel like I know you a little better. I would want to talk about my upcoming travel plans to Paris and London, how much I’m loving the Tone It Up workouts and ask you for blogging advice!